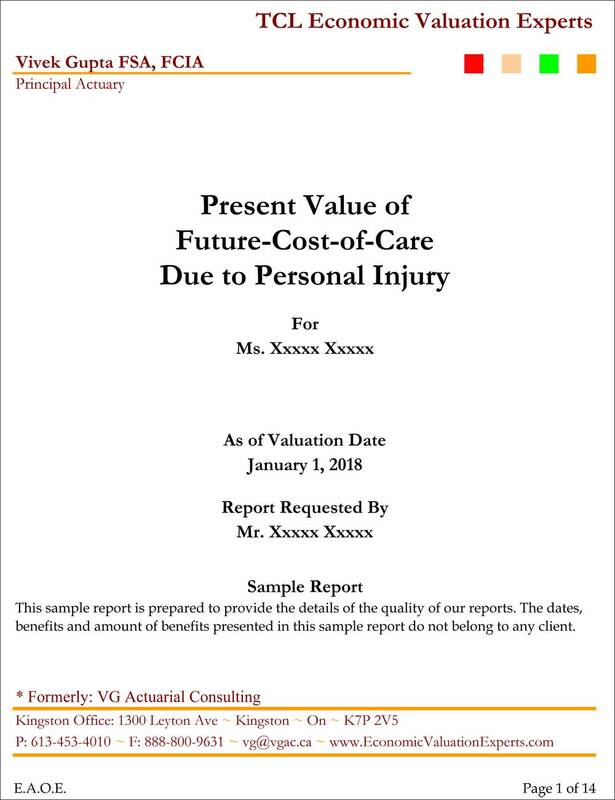 Our reports include a summary chart and a graph to visually illustrate the proportion of various components of your clients’ Future Cost of Care. To better present FCC costs, each item is calculated separately instead of being lumped together. This indicates to the reader that each item is justified and calculated correctly rather than an arbitrary approximation. This breakdown is an absolute must for arbitrations where cost items are in contention. Not only do charts and graphs help the reader understand difficult concepts, but they also draw in the reader’s attention.